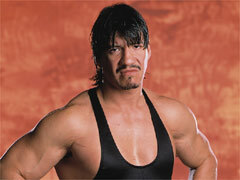 Eddie Guerrero has now fulfilled a family dream by entering the World Wrestling Federation. With the world of bad backstage politics behind him, there is no doubt he will go on to fulfill the expectations that everyone has always had for him. After only having been in the Federation for a few months, Guerrero won the European title. Known as "Latino Heat," Guerrero has shown that not only is he hot with the ladies, but he has quite a hot temper as well.